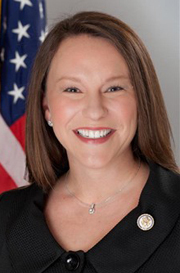 U.S. Representative Martha Roby (R-AL) spoke on the House floor on Monday, April 9 to express her support for the many Alabamians who were impacted by recent severe weather and urged her colleagues to swiftly pass commonsense, nonpartisan disaster recovery funding. Thank you, Congressman Dunn, for leading this important conversation tonight. Over the last several months, Americans in many corners of this country have experienced devastating loss of life, property, and livelihood because of wildfires, flooding, and severe storms. I’m here tonight to express my strong support for the many Alabamians – both in the Second District and over in neighboring Lee County – who have been badly impacted by severe weather. Last October, areas of the Wiregrass region in Alabama’s Second District were ravaged when Hurricane Michael made landfall. Barbour, Dale, Henry, Geneva, and Houston Counties were the most severely impacted. Throughout the Southeast, people lost their loved ones and their homes, and our farmers were dealt a devastating blow during the middle of harvest. This unprecedented disaster resulted in a tremendous economic setback for our agriculture community and our state. Last month, our neighbors in Lee County faced extreme devastation when tornadoes touched down. Many people were killed, and many homes were destroyed. Mr. Speaker, we are here tonight because these people need help. Here in Congress, it is our responsibility to make disaster recovery funds available now. I implore my colleagues on both sides of the aisle to stop playing political games with disaster funding. By politicizing this humanitarian issue, we are playing politics with people’s lives. We must immediately advance commonsense, nonpartisan disaster assistance for the people who have been hit hardest and are struggling to recover. I am hopeful that a solution will be reached soon – many Alabamians, many Americans, are depending on it. Thank you. I yield back.